DESIGNING YOURSELF? NEED A PRINTER? We can help you print anything you need! We have high-quality printing at LOW rates! If you design yourself, we can take off about 20% of listed prices. Contact us today for any of your printing needs! Please do not copy my designs. All designs are copyrighted by Kara's Koncepts Graphic Design. 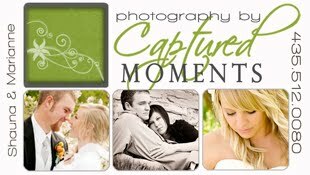 Photography is also copyrighted by the individual photographers. Blackrock Fence needed some estimate forms created. I designed & printed a 4 part carbon copy sheet for them. Although, I can work with any photographer, I HIGHLY recommend a professional over a friend/family member who has a nice camera & means well. The difference is huge & it's worth every penny! Kara, I just wanted to thank you again for making our announcements. They turned out so awesome! We are really happy with them and excited to send them out. :) Thanks a ton. I love your work! 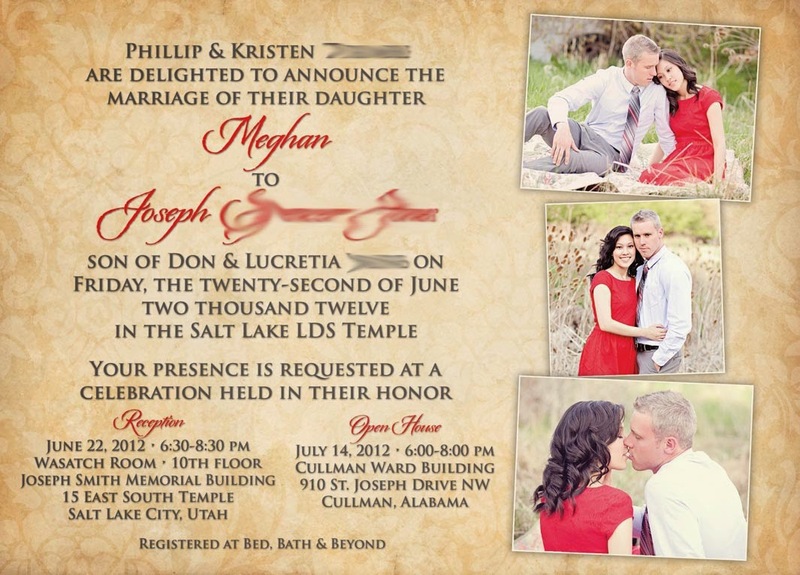 I just wanted to let you know that I am SO happy with the way the announcements and invitations turned out. I really couldn't be happier. If there is any website or something that you'd like a good review on, please let me know and I'd be more than happy to post something on how amazing my experience was. Thank you again! I look forward to doing the thank-yous with you! Kara, I just have to tell you how excited I am about our invitaions! You did a beautiful job and everyone is loving them! I will definatly recommend you and your business and will definatly order from you in the future! Got the book today. Gorgeous! Amazing! I love it and I'm sure my sister will too!! I'll be recommending you to my other engaged friends!! Thanks so much!! Thanks, Kara. We loved working with you and are so happy with our invitations. I will for sure be contacting you for thank you cards and will also be referring you to my sister! I just wanted to let you know that we received our Save The Dates and WE LOVE THEM!! They have gone out to our overseas guests already and we've received some positive praise from those guests. Thank you so much for your help and wonderful work in creating these beautiful Save The Dates!! Kara, just wanted to tell you how much we loved Jessie & Anthony’s announcements. I don’t think I’ve ever received as many compliments on anything as we did with your announcements. Everyone commented on how unique they were. We had people on Facebook everyday saying they were the cutest, most beautiful, neatest, sickest haha, just to mention a few. Even the guys at my work thought they were so cool. They wanted to know if we had designed them ourselves or if we had someone do them for us. They had never seen one like that before. They commented on how easy it was to read them, and they loved the format & the photographer,also. I told them the first time we had seen it at the Castle, we knew it was the one we wanted. Thanks, again. You’re a very creative lady! Thank you! The wedding invites were absolutely perfect. As 'Mother of the Bride' I want to tell you about all of the exceptional compliments we had about the design, layout, and quality of the invites. Thank YOU for making this part of the wedding... stress-less. My daughter Tawni just had you put together her invitations for her wedding on March 28th and I wanted to thank you so much for doing such a wonderful job on her invites. They are absolutely beautiful and we have received soooooo many compliments on them. The quality was excellent and we just love them. We will definitely recommend you to everyone that we know! Thanks for making this part of our wedding planning so enjoyable. I got the Save the Dates and they are awesome! Thank you so much for all your help and for making my vision come true! I guess I have quite a few of my clients using you! That's terrific. I am continually impressed with your work-- but more importantly how well you treat people. It's awesome. I love it when good people get hooked up with good vendors and I am SOOO happy to keep passing your name on to people. Anyway-- thanks again for being good. :) You're my favorite Cache Valley designer, hands down and I will continue to tell every client of mine about you. © 2011 Kara's Koncepts Graphic Design - Artwork & Designs may not be used without permission. Theme images by Jason Morrow. Powered by Blogger.